Anyone else ready to trade in their full coverage foundation for a lighter look this spring? The Colorescience Tint Du Soleil Foundation with SPF does so much for the skin, it's like a one stop shop. 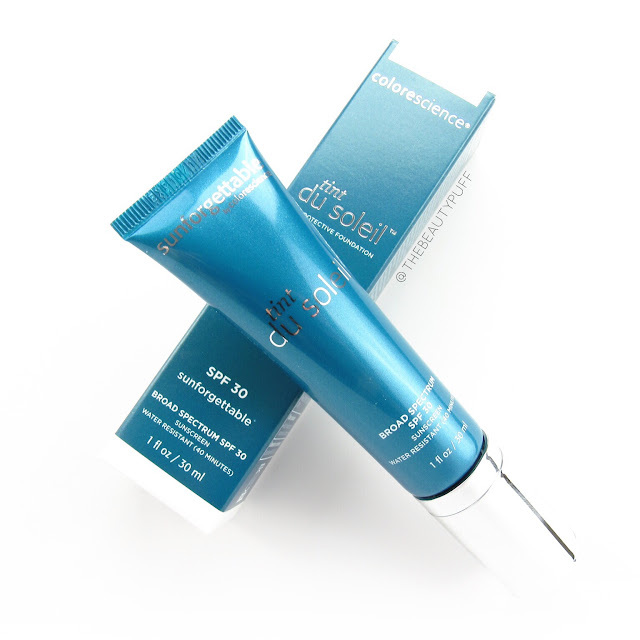 It provides protection, hydration and light, weightless coverage that's perfect for the warmer months. Packaging | This foundation comes in a tube with a pump so it's travel friendly and sanitary to use. This is one of my favorite designs as far as face products go. I don't have to worry about it breaking and I get the perfect amount of product every time. Benefits | The Colorescience Tint Du Soleil foundation has SPF 30 to protect and moisturizes without looking or feeling heavy on the skin. Formula | The texture of this foundation is very light and "moussy." It feels weightless on the skin and applies really easily with a brush or sponge applicator. You can get light coverage with one layer but it is buildable if you prefer medium coverage. I've worn it in one layer topped with my usual powder products and it looks really natural on the skin. Why I Love It | Each time I wore this foundation I felt like my skin could breathe - quite the opposite of most foundations. My skin looked smooth, even and the shade Light was perfect for my neutral toned skin. Also, my oil didn't break through and everything stayed really fresh throughout the day. That's an ideal combination for a natural look this spring. I can't wait to use this more for lighter looks, which tend to be my favorite! The Colorescience Tint Du Soleil foundation is gluten and paraben free. The more I try from this brand, the more I love it! You can shop this foundation along with more from Colorescience on their website below.